The man will appear before Cashel District Court today at 10.30am. The Ballysloe-Glengoole Road, Co Tipperary. A MAN IN his 40s has been charged in relation to the death of a man as a result of a road traffic incident in Thurles, Co Tipperary on 30 July 2017. 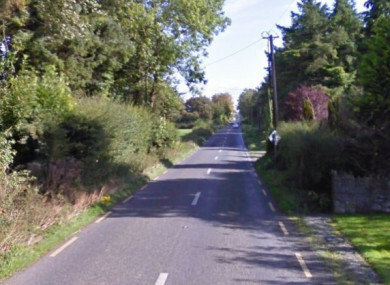 The 68-year-old victim was struck at about 10.20pm that night while walking on the Ballysloe-Glengoole Road near Poynestown. Gardaí have said that “all indications at this stage are that the deceased was struck by a vehicle which failed to stop”. The man who has been charged is due in Cashel District Court this morning at 10.30am. Email “Man (40s) in Tipperary court on charges related to hit-and-run death”. Feedback on “Man (40s) in Tipperary court on charges related to hit-and-run death”.